Join Editor-in-Chief Joshua Heston along with Ethan Grubaugh to talk about Kewpies (love them or hate them? 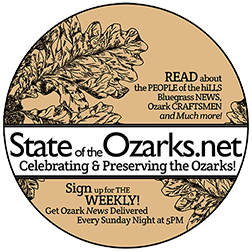 ), Bonniebrook, Writers Artists Night, and our special guest Christine Riutzel to talk about art, community and the Branson Tri-Lakes community! MAGIC AND MYSTERY AND KEWPIE DOLLS. When I was quite young, I liked to play in my big sister’s room (and, more specifically, I liked to play in her closet). At two years of age, that closet was a mysterious, magical place. Hanging beneath the clothing there was a couple of wooden keepsake boxes painted with rabbits and toadstools. There was a dark green remote-controlled corvette, a little Huey helicopter that reminded me of M*A*S*H, and a Flying Tigers fighter plane. I accidentally broke off the prop one evening, I remember. But more than that, there was sense of mystery, as though if you pushed far enough back, you could — like C.S. Lewis imagined — find yourself in a different world. After I grew older, I inherited the closet (also the bedroom) and filled that closet with worn-out sneakers and muddy cowboy boots and Star Trek VHS tapes. It was never the same after that. But in one of those keepsake boxes was a Kewpie: An elfin doll with enormous eyes, twist of hair sprouting from oversized head, baby wings growing where shoulder blades should be. It was curious. Engaging. And more than a little mysterious. Kewpies didn’t come from somewhere, I supposed. They simply were. And deep in the back of my young mind, I wondered if there might be more of them behind the closet? Rose O’Neill, who lived just north of Branson, was the “mother” of the Kewpie. She also created a pantheon of amazing creatures — Sweet Monsters, she called them — all hiding just beyond the mind’s eye. This week we explore the art, tragedy, joy, and history of a now-forgotten Missouri artist, the inimitable Rose O’Neill.